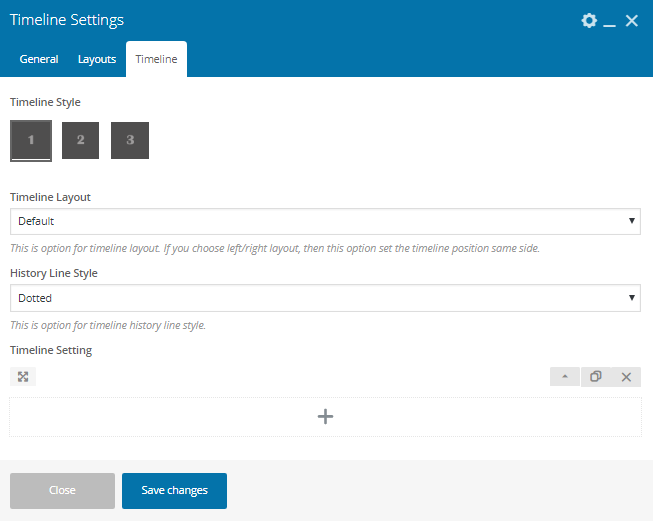 Timeline Style – Here you can change Timeline style. Timeline Layout – This is option for timeline layout. If you choose left/right layout, then this option set the timeline position same side. History Line Style – This is option for timeline history line style. Timeline Setting – Here You can add timeline title, subtitle, color , image , description, separator color, image, title .